Employers of non-agricultural industries initiate the H-2B visa process. The second type of visa within the H-2 temporary U.S work visas is the H-2B visa. Whereas the H-2A visa targets temporary and seasonal agricultural workers, the H-2B program is for temporary non-agricultural workers. The U.S government allows employers who can prove their temporary need for employees and cannot find them in the U.S to bring in foreign workers. This is done through the H-2B visa sponsors. Foreign workers can then apply for the visas after being sponsored and have the opportunity to work in the U.S for a specified period of time. The difference between the H-2A visa and the H-2B is not only in the fact that agricultural workers cannot get an H-2B visa. It also lies in the fact that the H-2B visa has a cap, while the H-2A does not. The cap for the H-2B visa is 66,000 visas per fiscal year. The distinction becomes even more specific, since there is a certain number of visas per each part of the fiscal year. In the first part of the fiscal year, from October 1st to March 31st, 33,000 H-2B visas are given. The rest, so another 33,000 are given in the second part of the fiscal year, from April 1st to September 30th. If in the first part of the fiscal year, not all 33,000 visas are given, the rest can be given on the second part. However, if the yearly cap is not fulfilled, the difference is not carried over to the next year. Who qualifies for an H-2B visa? Transportation for employees if they have to travel far from their place of residence and cannot return there within the same day. If they do not provide transportation immediately, then they should reimburse employees for the expenses at the end of the employment contract. Three meals per day for the duration of the contract. Employers have the right to charge employees a fee that is deducted from their wages if they provide the three meals. If employers do not provide meals, then they should provide cooking facilities where employees cook their own meals. Fair wages that are the same as for U.S workers. Employers should consult with the Department of Labor to determine the fair hourly wage for foreign workers that is not lower than the one they would pay for U.S workers. 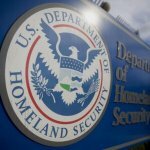 The Department of Homeland Security has determined the citizens of countries that are eligible to get H-2B visas. The list is updated each year and employers can ask to add other countries. The Department of Homeland Security will then assess the request and make a decision. If employers are hiring foreign workers from countries on and off the list, they are recommended to submit two petitions for each group to make processing faster. What are the requirements for H-2B program employers? H-2B program employers have to follow two steps in order to get permission to hire foreign workers for temporary work purposes. One-time occurrence – which means that the job positions are usually permanent, but some event has created a situation where there is a need for a temporary worker. Another situation is if the employer has never hired someone for that certain job position, and does not plan to do so again in the future, but needs someone just for now. Seasonal need – which means that there is a shortage of labor now because the industry that the employer is in has a traditional cycle of seasonality, but not because of some unpredictability or because permanent employees are on vacation. Peakload need – which means that the job position is usually filled by permanent staff, but due to increased short-term demand, the employer needs additional temporary staff. Intermittent need – which means that the employer does not hire permanent staff for that job position, but always hires temporary staff for short periods of time. Employers also have to prove that they did not find U.S employees who were willing, able, qualified, or available to do the job. To prove this, they have to go through a recruitment process. The recruiting process includes posting job ads in newspapers and other media. The job ads have to be in the newspaper for three consecutive days. In addition, the offer has to be open to U.S workers up until 21 days before the employer needs the services of the employee. The employer then needs to send the documentation that proved their recruiting efforts to the Department of Labor, in order to qualify for the certification. If the DOL approves the Temporary Labor Certification, it is valid for three years. Then the employer can go through the next steps. The next step is to file the petition to the Unite States Citizen and Immigration Services (USCIS). The petition is filed through filling Form I-129 no more than six months and no less than 45 days before there is a need for the employees. Individual petitions should be submitted for each employee and they cannot be transferred to other employees. If USCIS approves the petition, they will issue Form I-797 to the employer. Form I-797 contains the dates for when the employer can hire that certain employee and when the work must end. Employers must adhere to the working dates, otherwise future petitions could be denied. What are the requirements for H-2B employees? Proof that they intend to return to their home country such as a property deed, apartment lease, or future job contract. After that, they will set a visa interview and attend it. During the interview, they will be assessed by the U.S Embassy whether they are fit to have an H-2B visa. If the visa is approved, the employee files for visa stamping and can then make travel arrangements for the U.S. The employee is allowed to go into the U.S between the dates that are stated on the Form I-797 for employment. 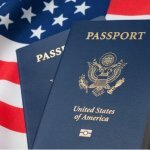 How long is the H-2B visa valid? Since the H-2B visa is temporary, it does not allow for longer stays than 1 year in the U.S. So those who have an H-2B visa are allowed to stay for the period that is stated in their I-797, but no more than one year. Applicants should also keep in mind that time spent outside the U.S also counts as H-2B stay, once they get the visa. The H-2B visa can be extended however. If the employer files for an extension, they must have a valid reason as to why they need the temporary foreign worker. For the H-2B visa, two extensions for one year each are available. So in total, the maximum amount that a foreign temporary worker can stay in the U.S on an H-2B visa is 3 years. After the 3 years, H-2B visa holders are allowed to stay in their home country for 3 months before they can again apply for the H-2B visa. 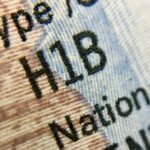 Can I change status while on an H-2B visa? Anyone who is on an H-2B visa in the U.S can file for status changes. If they find a new H-2B employer, the new employer must file for certification and petition to USCIS to be able to hire the foreign worker. In addition, if the H-2B visa holder finds jobs that require other visas, they are allowed to have their new employer petition for them to change status. If, for example, the H-2B visa holder finds a temporary agricultural job that requires an H-2A visa, their new employer has to follow the H-2A visa procedures. You can also go from an H-2B visa to a Green Card. H-2B visa holders can apply for Green Cards which are either Employment or Family Based. 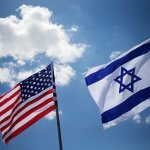 Why could the U.S deny an H-2B visa? Can H-2B visa holders bring their family to the U.S? Anyone who has an H-2B visa is allowed to have their spouse and children under 21 years old accompany them. The family members will have to apply with an H-4 visa. Under the H-4 visa, they can enroll in academic courses, but are not allowed to work. However, if someone on an H-4 visa finds a job with an employer willing to sponsor them, they can change status if all necessary conditions are met.